(Bryon Houlgrave | The Des Moines Register file photo via AP) In this Sept. 11, 2018 file photo, Nick Overton, a professional video game player, plays "Fortnite" while engaging with his fans online from the game room at his home, in Grimes, Iowa. "Fortnite," a free-to-play game that has become a massive hit with its “battle royal” mode winning over millions of fans. In our society, video games and video game players have been stigmatized in a way that, in my experience as a high school gamer, is almost entirely false. Certainly, video games aren’t perfect. Franchises such as Grand Theft Auto or Call of Duty create a bad name for the industry due to their explicit content. Other games such as League of Legends are notorious for their hostile communities. If that is your sole frame of reference, I can understand why, as a parent or a non-gamer, it might be hard to find value in video games. Perhaps you’ve never interacted with today’s video game technology. Perhaps your exposure to today’s video games is through media coverage that is overrun by negative accounts of high schoolers turning violent and becoming addicted to their screens. But the reality is, the video game industry is here to stay, so here’s what you should understand about video games from someone who plays them. The first key to understanding video games is to change your perception of the people who play them. 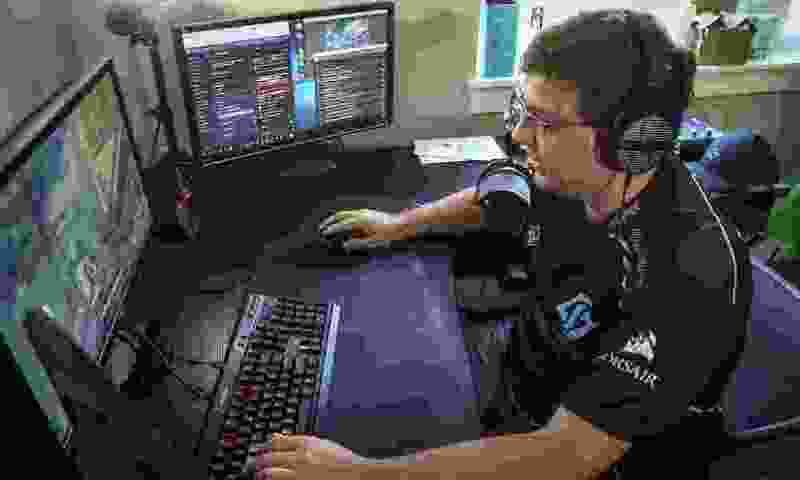 While society seems to believe that video gamers are either uncontrollable middle schoolers or college dropouts living in basements, the vast majority of players are drastically more casual than their public perceptions. Video game producers create a diverse catalog of games and therefore attract a wide range of audiences. While the first-person-shooter archetype of games is extremely popular in mainstream culture, other archetypes such as strategy, sports and particularly indie games attract large casual audiences that are often underrepresented in the spotlight cast on the industry today. At their core, gamers play video games as a form of entertainment, and I suggest viewing video games in the same light we view other forms of entertainment. While a teenager might be seen as intellectual for spending all of their time reading “The Lord of the Rings,” playing Zelda on the weekends with their friends is viewed as a sign of immaturity. Yet video games provide something that a book or a movie never could — a sense of exploration, a sense of agency, and I believe nobody should be criticized for playing a game that incentivizes independence. Today’s video game technology has taken us well past Pac-Man, the video game of choice of so many of our parents’ generation. Since the mid-90s, game developers have gone from moving a pixel across a screen to recreating perfect, realistic copies of Manhattan Island, and that should be acknowledged. Nobody can live in the wild West but, thanks to game developers, you can walk through a surprisingly beautiful version of it from the comfort of your couch. At a base level, video games are an art form that you can interact with, that you can impact, and should be recognized as such. One of the biggest draws of video games is competition. What differentiates video games from other forms of entertainment is that you can’t sit and watch. Video games can be extremely difficult, and thus can attract very dedicated communities. While a basketball player can’t compete at a global level on a daily basis, video-game players can, which allows each and every player a chance to develop into a world-class player. People don’t play video games so that they can kill digital things, they play video games because killing that digital thing is hard, and competition attracts all of us in one way or another. According to IGN, a recent new video game titled Apex Legends “hit 50million players worldwide” within its first month on the market; that’s more players than people who live in South Korea. It’s no secret that video games are here to stay and, as this modern-day obsession continues to expand, it’s important to remember that behind isolated accounts of addiction and violence there are tens of millions of players who have been positively impacted by video games. I, even as an admittedly average player, have overcome complex challenges, made friendships thousands of miles away, and enjoyed myself in the process, and I can attest that my experience is shared with most players, too. Jack Smith, Salt Lake City, is a high school senior at Rowland Hall. He is participating in a writing project with Alliance for a Better Utah.